Setting up a life in a new country is no easy task. There are several considerations to keep in mind such as finding accommodation, picking up a new language, enrolling in healthcare and finding cost-effective and efficient ways to commute to work. Expats with children must also take into consideration the education of their young ones. A good, well-rounded education provides children with a solid start to life and can have a hugely positive impact on their lives as they develop and grow into adults. Expats who have children of school-going age often have to time their relocation overseas to coincide with the school year, to ensure the least amount of disruption in their children’s education. Starting education at the start of the school year in a new country also helps children integrate better with their peers. Resuming schooling and education in a new destination can be daunting for expat children and parents alike, so it is important for parents to do the research about the best schooling options for their children. Choosing how to educate your children is an important step in establishing your life in Belgium. There are several options available, and parents must select an educational setting that fulfills their desires and requirements. Belgium has separate education systems for each of its territories. The Flemish, French and German-speaking communities have their own school systems located, with each system incorporating the national languages of Dutch, French and German. Belgium offers formal education that is free and starts at the pre-primary stage. From ages six to 18, education is compulsory. Public schooling has certain advantages such as enabling children to pick up the regional language, social opportunities with local children, and affordable costs for additional necessities such as school supplies and outings. Belgium has a well-regarded secondary school system, although the government tends to change the admission process annually, making it necessary for expat parents to prepare in advance. Belgium also has several international schools which have their own benefits. At these schools, children can mix with others who speak the language of their home country. They are also able to continue learning a familiar curriculum. International schools offer non-Belgian curriculums such as the International Baccalaureate and the SAT, and provide more extra-curricular activities than public schools. Expat parents who prefer more non-conventional options for their children’s education also have many options. Some of these are private while others are subsidized. While some employ one particular educational method, others use multiple approaches that are tailored for the student. 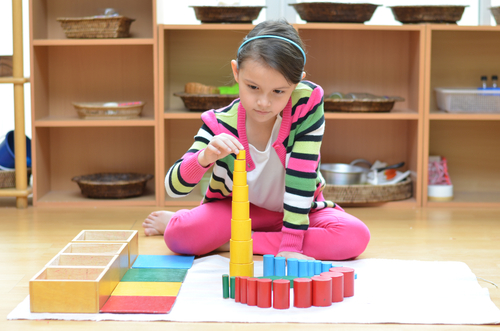 One of the oldest and most common types of alternative education in Belgium is the Montessori system, which consists of private schools that emphasize independent learning and self-directed activity. Brussels, in particular, has several Montessori schools, most of which offer bilingual education that combines French and English. These include the Montessori House and the Montessori Children’s House, which impart education to children aged two and a half to six years, and the European Montessori School, which is open to children aged 15 months to 13 years. Steiner schools, also known as Waldorf education, take a holistic approach to education with a curriculum that is wide-ranging and blends academic subjects with artistic and practical development. In early primary school, children learn hands-on activities and there is a focus on creative play. Later primary school hones children’s creative expression and interpersonal skills, while secondary schooling aids in the development of intellectual understanding and social responsibility. Belgium has French and Flemish-speaking Steiner schools, one of which is the reputable Flemish-speaking Brussels Steiner School. As well as these two popular modes of education, the country has multiple other forms of schooling that are considered as alternative methods of education. The Dutch-speaking Sudbury School in Ghent, for example, employs the US-based Sudbury model that encourages children to be responsible for their own education and enrolls students from ages four to 18. A school that imparts education from the child’s perspective is the Freinet School in Laeken, which offers subsidized education on behalf of the Flemish government. The De Weide school in East Flanders is one of the oldest non-conventional schools, focusing on collaboration between children, teachers and parents. Two French-speaking schools that prepare students for high school diploma and university exams are Le Labo in Schaerbeek and the Ixelles-based Ecole de Bois Sauvage. Homeschooling is a mode of educating children in which parents teach an academic curriculum at home rather than sending the children out to a state-run, private or international school. Parents may take teach the curriculum themselves, or they might hire a local private tutor. There are also online services that can be used for homeschooling. Most European countries have made homeschooling legal, but it is still important for parents to do their research on the rules prevalent regarding homeschooling in their new country of residence, as well as in their home country. Parents who choose homeschooling to educate their children have a chance to be intimately involved in their child’s education and progress. A number of parents who opt for homeschooling have found it to be a positive step which enhances their relationship with their child. Many expats find that the schools in their host country do not provide high quality education. In addition, the curriculum tends to be very different from that taught in their home country, making it difficult for the child to adjust. With homeschooling, parents can ensure that their children learn the skills they need to develop and grow in a favorable manner. It also allows children to learn the curriculum they need to integrate well into regular schooling if they are to return to their home country. Homeschooling enables parents to customize education to their child’s needs and to suit his or her unique personality traits and pace of learning. In the case of children who progress quickly, parents can increase the pace of their learning, whereas a conventional schooling environment might limit them. Homeschooling has its advantages, but there can also be downsides. Despite the best of intentions, parents may not be the best teachers. Without any training, parents may fail to facilitate effective learning and might find it difficult to monitor their child’s progress. Since homeschooling obviously occurs at home, it may also become hard for parents and the child to move between the teacher-student and the parent-child relationship, as the home and school become inseparable. The home environment is often full of distractions and may not encourage the discipline required in education. Children who are homeschooled will not be able to take advantage of the social opportunities that are present in traditional schools where children mix with each other. This can hamper their social skills. For this reason, parents must play an active role in ensuring their child has friends and engages in interesting activities. In addition, parents may be biased towards their children, making it difficult for them to be objective when evaluating their progress. Homeschooling is a viable option for expat parents who do not enjoy the benefit of easy access to international schools that suits their children’s needs. The exorbitant fees charged at international schools may also be a reason why expat parents may opt to educate their children at home. In some cases, expat parents find that the international schools available simply do not meet the educational requirements of their children. Homeschooling thus becomes a reasonable solution to such issues. One of the best ways to ensure that as a parent, you are imparting the right skills and learning experiences to your child, enabling them to integrate into mainstream schooling when they return to their home country, is to adhere to an accredited home schooling plan. This can be done with the help of a private tutor or online, where there are resources for downloading curriculums and teaching plans created especially for the purpose of homeschooling. Enrolling in such programs will offer regular guidance and evaluation through various activities, helping parents facilitate their child’s progress in the right direction. However, it is important that you choose a curriculum that is recognized by the educational institutions in your home country. 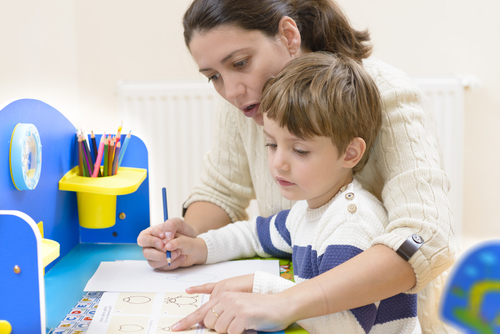 Homeschooling is a fairly common alternative schooling option for expat parents in Belgium. Education is mandatory in Belgium for children between the ages of six and 18, but the constitution of the country allows parents to choose how they educate their children. Therefore, parents in Belgium can opt to teach their children themselves. However, the curricula employed in homeschooling must fulfill certain requirements and meet the established standards of the Flemish, French or German-speaking community, depending on the area where you reside. This is monitored through annual examinations that students must pass to fulfill the mandatory requirements for education in the country. Parents who choose homeschooling must also become signatories of a document which states that they will respect the rights issued in the UN convention on children’s rights. This is a matter that has caused some upset to a few parents in the past years. Before committing to homeschooling, expat parents need to know that the Belgian government has stringent guidelines, as well as inspections, and parents who fail to meet the requirements can face sanctions. Since Belgium consists of three language communities, there are additional regulations at the regional level. The homeschooling requirements in the Flemish, French and German-speaking communities may vary from one another. Homeschooling is legal in the Flemish-speaking community, since the compulsory education act of 1983 established that home education must meet the requirements of compulsory education. Furthermore, in the Flemish-speaking community, the decree of elementary education of 1997 for the elementary school level and the decisions of the Flemish government of 1997 at the secondary school level also regulate homeschooling. Parents who wish to homeschool their child must inform the department of education and training in writing before the homeschooling begins. Parents must agree to provide education that facilitates all-round development of a child’s personality and skills, and is aimed at preparing the child for an active adulthood. The education must also instill a respect for basic human rights and the child’s own cultural ethics, as well as those of others. The Education Inspectorate is authorized to monitor whether the homeschooling follows the stated objectives. However, even if the home education does meet the objectives, students will not automatically receive a diploma upon completion of their education. Home-educated students must pass an examination before they receive ‘recognized proofs of study’. However, the tests are still in their early stages and there exists confusion about both the tests themselves and the legalities surrounding them. In the Flemish-speaking community, children must be enrolled for exams before the age of 12. If parents fail to comply, the child must attend school. Registered students must pass exams at the ages of 13 and 15. Failing one of the exams twice means that the child needs to be registered in a school. In the French-speaking community, parents who opt for homeschooling must present a yearly notice of their wish to homeschool by October 1st. This may be submitted after the deadline if a child moves to the community in the middle of the school year. In the French community, children are tested at the ages of eight, 10, 12 and 14. In the German-speaking community of Belgium, children who are home educated receive the primary education final certificate upon passing an exam issued by the school external examination board of the German-speaking community. Have you homeschooled your children? Share your experiences in the comments below, or answer the questions here to be featured in an interview!